Being linked with a move to several clubs already this winter, Juventus’ unwanted striker, Carvalho Amauri, apparently already set his mind in playing for Fiorentina for the remaining of the season. The striker himself revealed that ambition to the press, adding his hope that his move to Florence could be done as soon as possible as he can’t wait to play again. Amauri, who hasn’t been given much playing time in the first part of this season revealed that despite not seeing the pitch that much, he is still training regularly to get himself on shape for his new club. The ex-Palermo striker would definitely be perfect for Fiorentina as the Florence based club are really dying to add new center forward this January after losing Alberto Gilardino to Genoa since the start of this month. You all know full well what is happening, I hope it can be done as soon as possible. I am continuing to train so I can be ready to step on to the field. 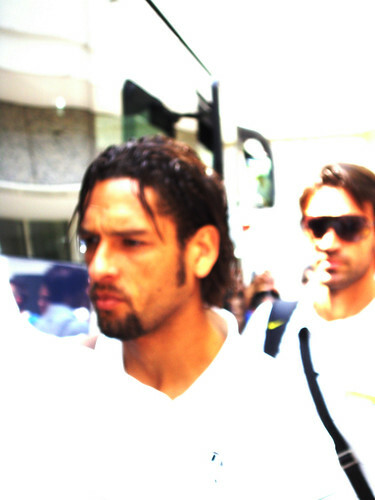 I am awaiting a response and we’ll see what happens,” Amauri told Lady Radio. The Brazilian born striker hasn’t been included as part of Juventus’ first team since last season and actually spent a pretty good six months at Parma, where he scored several important goals for the Gialloblu. However, early this summer, Amauri failed to reach any agreement with other clubs, so he stayed with the Turin giant and faced the risk of being frozen from the first team since the club’s coach, Antonio Conte, also doesn’t want the ex-Palermo striker on his squad.